This episode features the host, Doug Foresta, as he shares reflections and lessons learne d from hosting the Coachzing Show. This is the last episode before the show goes on hiatus. 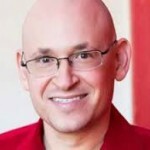 Doug Foresta is a therapist, podcast producer and host. He has completed over 800 podcast episodes and helped hundreds of people from all over the world stand out and be heard through the power of podcasting.